This is a unique show focusing on food (oooh so much yummy food in ooooh so much detail) and how it brings people together. The main character, Lee Soo-Kyung, is a divorcee who lives in a singles apartment complex and works as a legal secretary at a law firm. I loved this character – her suspicious nature, her bristly demeanor, her begrudging acceptance of her single fate – she was strong yet vulnerable with a great personality. Most of all, I loved her love of food. She took pleasure in food the way children take pleasure in their new toys on Christmas morning. It was divine to watch her eat, moaning and grinning and stuffing her face. 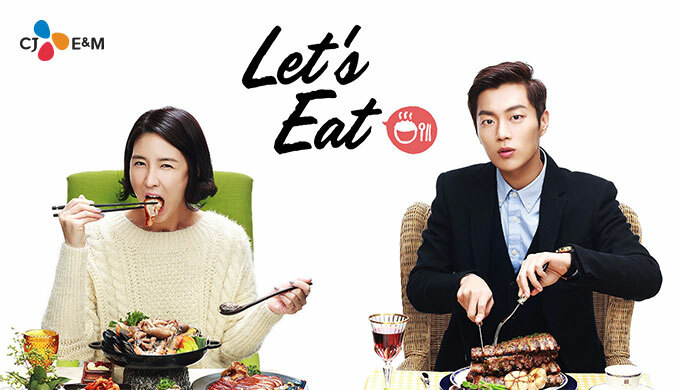 Around Lee Soo-Kyung are her best friend, a stay at home mom with two rambunctious children. Her best friend’s husband, who is also a legal aid at the same firm. The two lawyers who run the firm, the hysterically delusional Lawyer Oh and the petty, gloriously geeky Lawyer Kim. We also are introduced to Lee Soo-Kyung’s two neighbors on either side. One is a young lady whose father has gone to prison, her family fortune lost. She’s naive, optimistic, good-natured, and was (in my opinion) the weakest link in the storyline. The other neighbor is our second lead, Koo Dae-Young, an insurance salesman who is also a foodie. I also really loved this character. First of all, his job is interesting. An insurance salesman? He’s someone who knows every illness and disease and spits out scary little fun facts with a pleasant smile during conversation, ever the salesman. He’s charming, carefree, and seems to just glide effortlessly through life. When he does get himself into sticky situations – such as girls falling for him left and right – he’s actually quite mature in handling it face to face with no drama, setting things straight. I also loved when people would set him off on one of his food rants – “What? !” and he’d go into a soliloquy about the history and beauty of some questioned nature of the meal. It was hysterical and eloquent and just made an already cool guy ten times cooler. This show decided to develop all its characters before it even bothered to get started with a romance, which was unusual. I think we were about ten episodes in before any real flirting started. And yet… I think that improved the plot greatly. Overall Rating – 8.5/10. Unique Characters To Be Savored. Final Thought – I loved the main female’s dog, Vara. Only our quirky female lead would chose to name a tiny Pomeranian dog after Che Guevara.